When a Category 5 tornado ravaged Mercy, Oklahoma, no family in the small town lost more than the McClouds. Their home and farm were instantly demolished, and orphaned siblings Darlene, Jane, and Cora made media headlines. This relentless national attention and the tornado's aftermath caused great tension with their brother, Tucker, who soon abandoned his sisters and disappeared. On the three-year anniversary of the tornado, a cosmetics factory outside of Mercy is bombed, and the lab animals trapped within are released. Tucker reappears, injured from the blast, and seeks the help of nine-year-old Cora. Caught up in the thrall of her charismatic brother, whom she has desperately missed, Cora agrees to accompany Tucker on a cross-country mission to make war on human civilization. Cora becomes her brother's unwitting accomplice, taking on a new identity while engaging in acts of escalating violence. Darlene works with Mercy police to find her siblings, leading to an unexpected showdown at a zoo in Southern California. 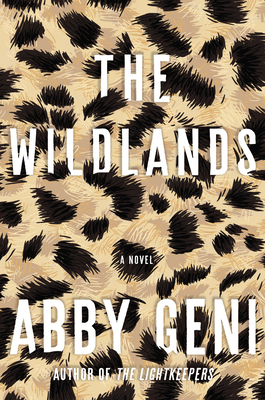 The Wildlands is another remarkable literary thriller from critically acclaimed writer Abby Geni, one that examines what happens when one family becomes trapped in the tenuous space between the human and animal worlds. ABBY GENI is the author of The Lightkeepers, winner of the 2016 Barnes & Noble Discover Great New Writers Award for Fiction and the inaugural Chicago Review of Books Award for Best Fiction, as well as The Last Animal, an Indies Introduce Debut Authors selection and a finalist for the Orion Book Award. Geni is a graduate of the Iowa Writers' Workshop and a recipient of the Iowa Fellowship. Find out more at www.abbygeni.com.